Antibiotics for Acne - Does It Offer a Safe, Effective Way to Treat Acne? If your parents or grandparents are giving you acne advice and waxing poetic about the amazing results they saw when they used antibiotics for acne treatment, you might want to take this recommendation with a grain of salt. Although antibiotics used to be a relatively effective acne treatment, studies in the last decade have shown that antibiotics now produce minimally effective results, if they help at all. Before you start using antibiotics for acne, you’ll want to know how exactly they work, what the risks are, and which antibiotic is most effective. This is largely due to antibiotic resistance, a phenomenon where bacteria actually grow resistant to the medicines designed to kill them. Each new antibiotic designed for acne eventually becomes outdated because of the increase in antibiotic-resistant bacteria, and antibiotics in general are becoming less effective because of this as well. As a result, many dermatologists reserve antibiotics for more severe cases, and they always prescribe additional acne treatments; antibiotics should never be the only acne treatment you use, as this can contribute to antibiotic resistance. Before you start using antibiotics for acne, you’ll want to know how exactly they work, what the risks are, and which antibiotic is most effective. This article will cover all of that information and more, and will answer some of the most frequently asked questions about using antibiotics for acne. Dermatologists used to believe that acne was primarily a bacterial infection caused by p. acnes, a bacteria that always lives on our skin and, in small numbers, can actually be helpful. It uses our natural skin oils (also known as sebum) as food, so it can help keep our faces from getting too oily. However, when there are larger numbers of p. acnes, they can get trapped in the pores, grow, and cause acne. When your immune system recognizes the infection, it initiates the inflammation response, which sends extra blood that carries immune system agents to the site of the infection, and the skin swells to prevent the bacteria from accessing the air and spreading. With most infections, the cavalry arrives, saves the day, and the infection is defeated. But p. acnes is an anaerobic bacteria, meaning it can’t survive in the air, and it releases chemicals that can trick your immune system. Because p. acnes is anaerobic, when the inflammation response tries to isolate the infection by cutting off the air supply, it actually protects p. acnes. As for how it tricks your immune system, when infection-fighting agents try to destroy p. acnes, the bacteria release chemicals that help them spread themselves to non-infected pores beneath the skin. This gives them more sebum to consume and forces the immune system to chase the infection, effectively spreading it. This is why many dermatologists prescribe antibiotics for stubborn or cystic acne, which can result when acne infections grow out of control in this way. However, recent research suggests that bacteria may not be the root cause of acne. Now, many dermatologists believe that the skin becomes mildly inflamed first, and this is what traps the bacteria in the pores to begin with. Rather than treating the bacteria with antibiotics for acne, some doctors are looking for ways to treat the original inflammation. Antibiotics for acne work like antibiotics for any other infection: they destroy bacterial cell walls, block bacterial ribosome proteins, or break down bacterial DNA. Unlike most human cells, which just have membranes, bacteria have membranes and cell walls. Some antibiotics fight bacteria by targeting cells that have cell walls, and breaking them down. Without the cell wall, the pressure inside bacteria is too great, so the membranes burst, and they quickly die. Amoxicillin, which is sometimes prescribed for acne, works this way. Another tactic many antibiotics use to fight bacterial cells is identifying their proteins and attacking them. Ribosomes are the part of the cell that produce proteins that makeup DNA, and bacterial ribosomes differ from typical human ribosomes. Antibiotics like minocycline, clindamycin, or erythromycin work by targeting bacterial ribosomes and destroying them, which prevents the creation of new DNA, which can prevent bacteria from reproducing, or destroy the bacteria itself. One other way antibiotics fight bacteria is by breaking down bacterial DNA. Human DNA is primarily built with different chemicals, so antibiotics seek out bacterial DNA specifically and slice it so it’s unable to reproduce. This can kill the bacteria entirely, or it can make it dormant, which means it’s alive but cannot create more bacteria. Antibiotics like levofloxacin work in this way. Dormancy is typically just as effective as eradication, but with antibiotic resistance, that isn’t the case. Antibiotic resistance is when bacteria aren’t affected by antibiotics the way they should be. This can happen through a random mutation of just a few bacteria that allows them to survive the antibiotics. Then when those bacteria reproduce, their offspring are also resistant to that antibiotic. Because bacteria reproduce every 20 minutes, this number can increase very quickly. Additionally, bacteria can share DNA with one another just by getting close to each other. When an antibiotic-resistant bacteria shares DNA with a normal bacteria, it also becomes antibiotic-resistant. This is why dormancy is not always the best option, because even though dormant bacteria can’t reproduce, they can still spread their antibiotic resistance. You can see how quickly this can become a problem. If all the bacteria causing your acne find ways to become resistant to the antibiotic that you’re taking, then your medicine won’t help at all. And because we use antibiotics to treat so many different conditions and illnesses now, it can quickly become an even bigger problem. Many antibiotics work the same way and have a similar chemical makeup, so if certain bacteria become resistant to one antibiotic, they could potentially become resistant to several others. On a large scale, this could lead to general antibiotic resistance that could make simple bacterial infections, like strep throat, deadly, just like they were before antibiotics were discovered in the first place. That’s an extreme projection, but not as extreme as it sounds. Many doctors are growing increasingly worried about antibiotic resistance, and are encouraging other doctors to prescribe them only when absolutely necessary. Because of this, many dermatologists are turning to other treatment options, and when they do choose to prescribe antibiotics for acne, they always do so in conjunction with another treatment, which can help prevent antibiotic resistance. Despite antibiotic resistance, there are still some antibiotics for acne that you can try. A study conducted in 2015 collected data from 14 countries and compared p. acnes resistance in 4 major acne treatment antibiotics. Their data was collected in the last 35 years, with Hong Kong, Chile, and Colombia being the most recent (data collected in 2013) and the United States being the most outdated (data collected in 1986). Even though there are complications to consider when using antibiotics for acne, there are still some useful options. 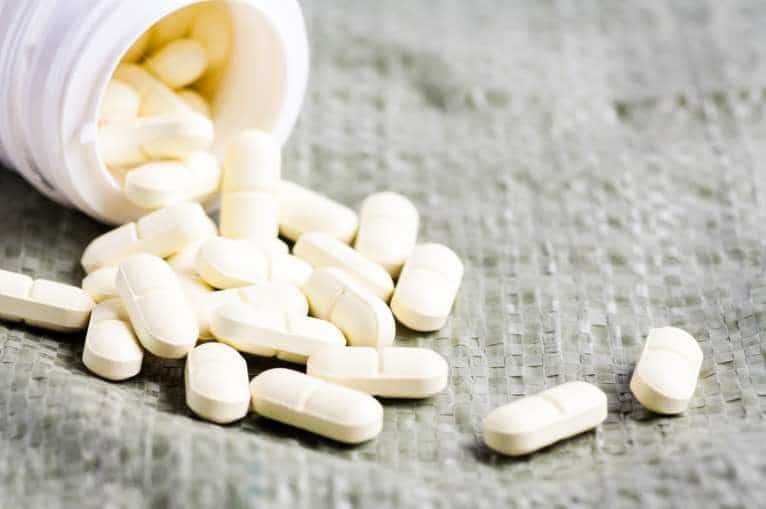 Oxytetracycline, one of the 4 studied acne-fighting antibiotics, demonstrates the least antibiotic resistance, making it a good option if you’re looking to try antibiotics for acne. 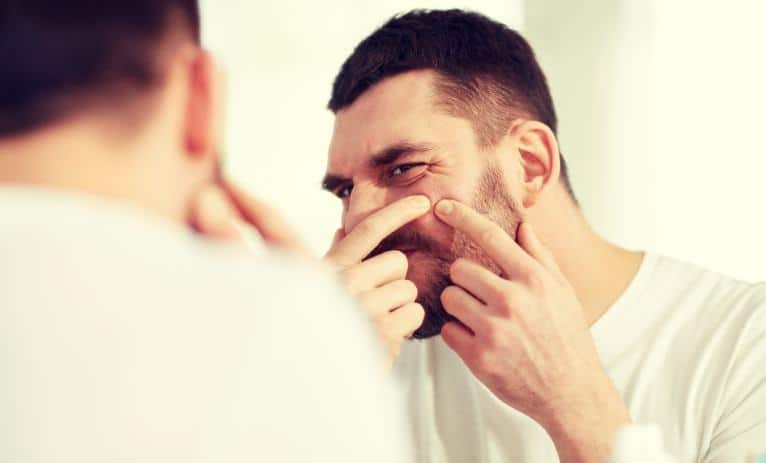 Doxycycline also had a low percentage of p. acnes strains that showed resistance, however, only 5 countries reported doxycycline numbers, making it less reliable than the other 3 antibiotics. Clindamycin and erythromycin are growing increasingly ineffective as more and more bacteria grow resistant to them. In Spain, 91% of p. acnes strains were resistant to both antibiotics, and according to a 2011 study, many bacteria that are resistant to one are also resistant to the other. Although these are some of the most popular antibiotics for acne treatment, there are several others, such as norfloxacin, trimethoprim, or just plain amoxicillin. If your acne has not improved with the use of other acne treatments, you can ask your dermatologist about your antibiotic options. Most dermatologists would never prescribe antibiotics for acne without also prescribing a supplementary treatment, because when antibiotics are used alone, bacteria are much more likely to become resistant. Benzoyl peroxide and retinoids are both commonly prescribed with antibiotics. Benzoyl peroxide kills p. acnes, making it somewhat similar to topical antibiotics (creams or gels rather than pills), except benzoyl peroxide doesn’t attack the bacteria’s DNA or ribosomes. Instead, it clears the skin to allow more oxygen to reach the bacteria (which are anaerobic if you remember, and do not like oxygen at all), which forces them to spend energy fighting the oxygen rather than reproducing. This slows reproduction, but it can also kill bacteria, because they usually live for 48 hours or less. If they spend that whole time trying to survive in the oxygen, then they will die without reproducing, significantly reducing the acne present on your skin. Retinoids differ from benzoyl peroxide and antibiotics for acne because their primary aim is not to kill bacteria. Instead, retinoids encourage increased skin cell turnover. It clears away dead skin cells and unclogs pores, often taking the bacteria living in those pores and dead skin cells with it. Rather than killing the bacteria, a retinoid treatment simply removes the bacteria from the skin. When an antibiotic, oral or topical, is combined with benzoyl peroxide or a retinoid, there are fewer bacteria present for the antibiotic to fight, which means fewer bacteria can become antibiotic-resistant. As with all medications, antibiotics for acne can have side effects, some of which can be avoided or easily dealt with, while others may require a trip to the doctor or ER. Skin sensitivity: Although this is a relatively minor side effect in the moment, it can increase the likelihood of developing skin conditions like skin cancer later in life. To prevent burning or excessive exposure to the harmful rays of the sun, you should wear an oil-free sunscreen every day, even when it’s cloudy. Most acne treatments make skin sensitive to sun, so whether you’re at the beach or just going for a walk, wear sunscreen to protect your skin. Tooth discoloration: If you are over the age of 22, this is easily avoided. Some antibiotics like minocycline can cause teeth to take on a blue or black discoloration if taken by someone under the age of 22. If you’re older, then it does not seem to affect teeth. Dizziness or vertigo: Minocycline is also at fault for this side effect. Although this is often mild, you should let your doctor know that you’re experiencing this side effect and contact them if it becomes more severe. If you experience severe dizziness or frequent, disorienting vertigo, call your doctor and make sure it’s okay to discontinue use. Severe diarrhea: Antibiotics attack bacteria—all bacteria. That might sound like a good thing, since we often associate bacteria with the germs that get us sick, but in reality, many of our basic functions are dependent upon “good” bacteria that live in reasonable numbers throughout our bodies. When we take antibiotics for acne, they kill all kinds of bacteria, good and bad. This can lead to problematic imbalances. When some of the bacteria in our gut are destroyed by antibiotics, it can lead to nausea, cramping, and diarrhea. If the antibiotics kill a significant amount of bacteria in the gut, diarrhea can become severe, and you should seek medical attention. Isotretinoin: A member of the retinoid family, isotretinoin treats severe or cystic acne. It is a powerful derivative of vitamin A that helps acne by shrinking the sebaceous glands and reducing sebum production. One round of treatments lasts 4 or 5 months, and has been known to significantly improve cystic or nodular acne. Light therapy: Blue light therapy has been shown to kill acne-causing bacteria on the surface of the skin, but unlike antibiotics for acne, blue light does not contribute to antibiotic resistance. If you mainly deal with blackheads or excess sebum production, light therapy could be a valuable acne treatment plan. Full acne treatment system: The most effective treatment for acne is consistent, appropriate skincare. Everyone’s skin is different, but almost all acne can be improved with a cleansing facewash, a clearing toner, and an acne-fighting serum. Exposed Skincare is the acne treatment system we recommend, because it includes all of these steps, but also because it is well-balanced. If you have sensitive skin, you might have trouble finding a skincare system that doesn’t lead to redness or peeling, and if your skin is particularly oily, you might be struggling to find a routine that suppresses sebum production. Exposed Skincare balances active ingredients like benzoyl peroxide, salicylic acid, and glycolic acid with natural ingredients like green tea, passion flower extract, and aloe vera in a way that works for all skin types. That might sound crazy, but the truth about acne treatment is that most cases require the same thing: gentle, consistent care. If I’m pregnant, are there antibiotics for acne I shouldn’t take or use topically? According to the American Academy of Dermatology, tetracyclines such as minocycline, doxycycline, or oxytetracycline are generally not recommended for people who are pregnant. These medications have not been proven to cause birth defects, but they also haven’t been proven to be safe. Studies have found erythromycin and penicillin to be safe alternatives, and potentially clindamycin. Check with your dermatologist and gynecologist before starting a new antibiotic, or consult with them about your current antibiotics when you become pregnant. I have cystic acne, and the only thing that has helped has been my antibiotic. Do I really have to stop taking it after 3 months? What if my cysts come back? The goal when using antibiotics for acne is to decrease the number of p. acnes bacteria you have on your skin, much the same way that other antibiotics decrease the number of illness-causing bacteria in your body. When you get a cold, you don’t need to take an antibiotic forever, just long enough to reduce the size of the size of the bacterial colony to something your body can manage on its own. When you stop taking your acne antibiotic, your skin will hopefully be able to handle the p. acnes by itself. Because more research is coming out suggesting that acne is primarily an inflammatory condition, it may help to ask your dermatologist about acne treatments that prevent inflammation. If you continue to take antibiotics past the recommended 3 month cut-off period, there is a good chance the p. acnes bacteria will become resistant to the antibiotic and will grow all over again, leaving you with more acne bacteria and no means of reducing them. If you’re worried about your cysts returning, discuss that anxiety with your dermatologist; together you will be able to find a skincare regimen that works for you without creating antibiotic-resistant bacteria. The antibiotics worked and my acne is cleared up! Does that mean I can stop taking them? If your acne clears up before you take all of your prescribed antibiotics, you should still take the rest of your prescription. It might seem counterintuitive, since taking antibiotics too long can lead to antibiotic resistance, but oddly enough, the same thing can happen if you don’t take them long enough. The 3 month prescription of antibiotics for acne is meant to decrease the number of p. acnes bacteria on your skin to the lowest possible amount, so even if your acne clears up before 3 months have gone by, you likely still have more bacteria on your skin than necessary. If you stop taking the antibiotic halfway through, there will still be a decent amount of bacteria on your skin, and once the substance that’s killing them disappears, they could reproduce in large numbers, causing your acne to come back. Additionally, these bacteria have already been exposed to an antibiotic and lived. This means that if your acne comes back and you try to treat it with the same antibiotic, they could recognize it and develop a resistance against it. If you take the antibiotic for the full time prescribed, however, then you will kill as many bacteria as possible, leaving only a few that could be antibiotic-resistant. As a note, this applies to all antibiotics. Resistance is a problem with all antibiotics, and it can be worsened when people do not take their full prescribed dose. Even if your symptoms do not return when you discontinue use prematurely, you are still carrying bacteria that recognize the antibiotic, so when you transfer those bacteria to others by touching them, their stuff, or even breathing around them, they may not respond to antibiotics when they go to the doctor for their symptoms. Be proactive about preventing antibiotic resistance, take your full dose. I’m going to the dermatologist soon, and I know I don’t want to use an antibiotic for acne. How do I politely ask for a different treatment if they recommend an antibiotic? Doctor’s visits can be anxiety-inducing for many people, especially if you disagree with your doctor. But it’s important to remember that your care is the most important thing, both to you and your doctor. Most doctors suggest what they think is best, but they are always open to what you want (or they should be). If your dermatologist recommends that you try antibiotics for acne, and you don’t think that’s the treatment route you want to take, you can start by asking them why they think that would be the best option. That allows them to explain their position first, so you know where they’re coming from and if they’ve considered things like antibiotic resistance. If they don’t mention it, then you can say you’re worried about antibiotic resistance, and see what they say. If they claim it’s no big deal, that’s a red flag. Any dermatologist worth their salt should know that antibiotic resistance has become a significant issue in the last decade. You may want to politely let them know you want some time to think about your options, then go home and look for a new dermatologist. But if you like your doctor, or have limited options, and they don’t seem worried about antibiotic resistance, you can drop that subject and simply express the desire for a different treatment. That can be extremely scary, especially if you’re relatively new to adulthood or going to doctor’s visits alone, but remember: your care, your decisions. You don’t have to explain your reasoning or defend your wishes for your own care; most of the time, if you keep it short and simple, people won’t question you.